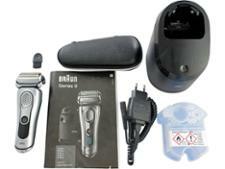 Braun Series 9 9290cc electric shaver review - Which? 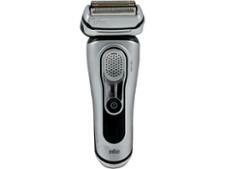 The Braun Series 9 9290cc comes with a dock that will clean and charge your electric shaver at the same time. It also features a shaving head with four cutting elements, but does it help the Braun 9290cc give a closer shave than its rivals? 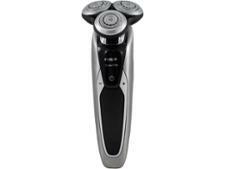 Read our full review of this electric shaver to find out. We have tested 12 electric shavers and found that there are 0 Don't Buys and 3 Best Buys. 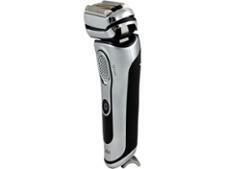 Get a close, comfortable shave by buying the best electric shaver. Read our expert Which? advice to choose between foil and rotary electric shavers, find out all the features to look out for, and how much you can expect to pay. Which? tests electric shavers to their limit to make sure we only recommend the very best and steer you away from those that will let you down. 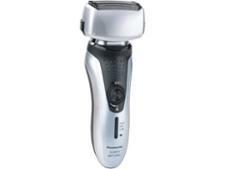 Find out the lengths we go to, to uncover the best and worst electric shavers. A clean, well-maintained electric shaver will work better for longer, and our guide will explain exactly how to keep yours in top condition. Find out when to change your shaver blades and if a self-cleaning shaver is worth buying.